Minky Worden, Human Rights Watch’s Director of Global Initiatives speaks Cantonese and German, wrote speeches for the U.S. Attorney General, and more recently penned a New York Times op-ed titled “The Olympics Leadership Mess“. It’s an informative editorial, but her argument that the next I.O.C. president should strictly assess the human rights records of bidding countries and monitor selected host countries progress towards improving that record, rests on the flawed assumption that the West has a monopoly on virtue. The 12-year term of the current International Olympic Committee Chairperson, Jacques Rogge of Belgium, will be remembered in large part for the glaring contradiction between the I.O.C.’s explicit vision of its lofty role in the world (as outlined in the rules and guidelines of its charter) and the fact that Mr. Rogge has been responsible for two Olympics with extensive human rights violations: the 2008 summer games in Beijing and the 2014 winter games in Sochi, Russia, which start in less than six months. To host the Olympics, governments and cities pledge not only to build sparkling new stadiums but also to uphold the I.O.C.’s “Fundamental Principles of Olympism”: respect for human dignity and press freedom, and a rejection of “any form of discrimination.” But the I.O.C. under Mr. Rogge has failed to enforce its own rules. The 2008 Beijing games, which cost an estimated $40 billion, led to a host of rights violations, including abuses of domestic migrant workers who were building Olympic infrastructure and a harsh clampdown on civil society and media, with punishment (including imprisonment) for those trying to protest. Now the I.O.C. is preparing to stage another Olympics in a host country that almost appears to be taunting organizers and sponsors by flagrantly flouting its pledge. Starting in 2008, Human Rights Watch has documented myriad Russian abuses associated with preparation for the Olympics. These include government harassment and intimidation of activists and journalists, abuses of migrant workers from the former Soviet bloc who are building all the major Olympic venues (including the media center) and forced evictions of some families without compensation. Some migrant workers who tried to complain have been detained. The shame here is that the I.O.C. can and has used its considerable leverage to improve the conduct of host nations. Countries with repressive governments often seek to host the Olympics to improve their global reputation, and only the I.O.C. can make the Olympics happen. . . . There is no reason the new I.O.C. president could not issue a mandate to strictly assess the human rights records of bidding countries and monitor a selected host country’s progress toward improving that record. How can Worden ignore how the U.S. and other Western developed countries are doing in regard to “respect for human dignity and press freedom, and a rejection of any form of discrimination”? Let’s use the Wednesday, August 21st, 2013 edition of my local newspaper as a frame of reference for evaluating how well the U.S. is applying the “fundamental principles of Olympism”. The Daily Olympian does a much better job covering the Pet Parade than world events; however, on Wednesday, August 21st, 2013, there were two substantive stories that suggests the U.S. should probably focus on getting it’s own human rights house in order. More than four years after an Olympia anti-war group accused John Towery of spying on them on behalf of the Army under an assumed name, new evidence has emerged showing that at least some of Towery’s former superiors at the Army were aware of and supported his intelligence-gathering activities. The documents detailing JBLM’s knowledge of Towery’s activities “providing crucial police intelligence” were released as part of the discovery in the Olympia anti-war group’s federal civil rights lawsuit against Towery. . . .
On the night of the killings, . . . Bales stewed on his troubles at home and his disappointment in the Special Forces unit his Lewis-McChord team supported in southern Afghanistan. He wanted to be more aggressive. . . . He also was taking steroids and drinking alcohol in his down time. Against that backdrop, Bales twice snuck out of his outpost to murder civilians in the villages of Alkozai and Najiban in a single night. He put his pistol in the mouth of a baby, and shot men, women and children in front of their families. As Morse described those killings, jurors saw gory photos of Bales’ youngest victims on a wall-sized screen. One image showed the corpse of a 3-year-old girl. Bales appeared to shrink from viewing the photos. He closed his eyes and glanced to the side when prosecutors presented images showing the bloodied head of a young girl, Zardana, he shot inside her home. She survived with the help of Army doctors. Several of the young Afghan boys who testified spoke shyly about the nightmares they and their siblings still experience 17 months after the slaughter. If Worden, a human rights expert, seems unable to think critically about our own human rights record, it’s no surprise the same is true for the rest of us. In particular, we’re unwilling to take a long, hard look at the ways in which our military often subverts the fundamental principles of Olympism. If the Bales example is too anecdotal, how does one explain the fact that female soldiers are more likely to be assaulted by a fellow soldier than killed in combat? For too many people, anything short of unconditional praise of the military is unacceptable anti-Americanism. Far better to talk about China’s migrant workers and Russia’s outrageous homophobia. Also, last week we learned from a Central Intelligence Agency document that “. . . the military coup that overthrew Mosadeq and his National Front cabinet (in Iran in 1953) was carried out under C.I.A. direction as an act of U.S. foreign policy; conceived and approved at the highest levels of government.” That won’t surprise Guatemalans (1954) or Chileans (1973). Before another I.O.C. president is selected, the corporate sponsors who make the Olympics possible should insist that the president enforce the committee’s own rules about human rights. 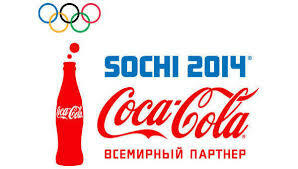 Unless sponsors and franchise-holders like NBC, Coca-Cola, G.E., McDonalds and Visa want to risk being associated with an officially homophobic Olympics, they must find their voices — before the next I.O.C. head is anointed. In what world is Minky living? One in which major U.S. corporations care more about the human rights of gay and lesbian Russians than maximizing profits? What evidence is there for that? Corporations only act in the best interest of powerless people and the planet when their shareholders demand it of them. Which leads to you, me, and the 2014 Sochi Winter Olympics. I predict we’ll watch just like we always do. I suppose, when it comes to the bobsled and luge, resistance is futile. And the Russian government will feel emboldened. And the multinational corporations will make a lot of money. And for those of us sleep walking in the West, we’ll feel good that we have our human rights act together.